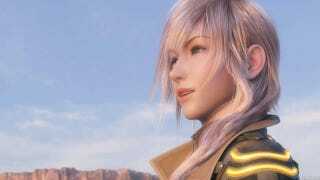 Hope You Like Final Fantasy XIII-2! There Will Be DLC. Back in late 2009, Final Fantasy XIII director Motomu Toriyama wrote on his blog: "The world of Final Fantasy XIII is starting from here on out." It hinted that FFXIII DLC was on the horizon. It wasn't. And Toriyama apparently apologized later for the lack of FFXIII downloadable content. Report: You Wanted Final Fantasy XIII DLC? Sorry! Now that the game's sequel, Final Fantasy XIII-2, is out in Japan, Toriyama is once again hyping up DLC, saying that players can "look forward to successive downloadable content". Toriyama didn't discuss further what that DLC entailed other than it would be "varied". Final Fantasy XIII-2 had a much quicker development cycle than FFXIII, and it seems like Square Enix has its act together with the title. No doubt DLC is in the game's future.